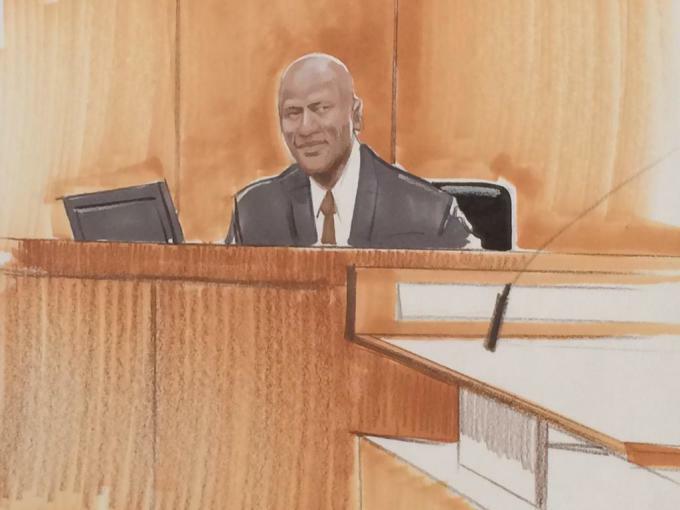 Earlier today, Michael Jordan took the stand to testify in his suit against Dominick&apos;s, and WGN Radio correspondent Sam Panayotovich was on hand to share this amazing court room sketch. Don&apos;t be surprised if this turns into the Internet&apos;s new favorite Jordan meme. See original story from 8/11/15 below. After losing his battle to Chinese brand Qiaodan weeks ago, Michael Jordan is back in court, but this time it&apos;s taking place in a federal courtroom in the city where he won six NBA championships. 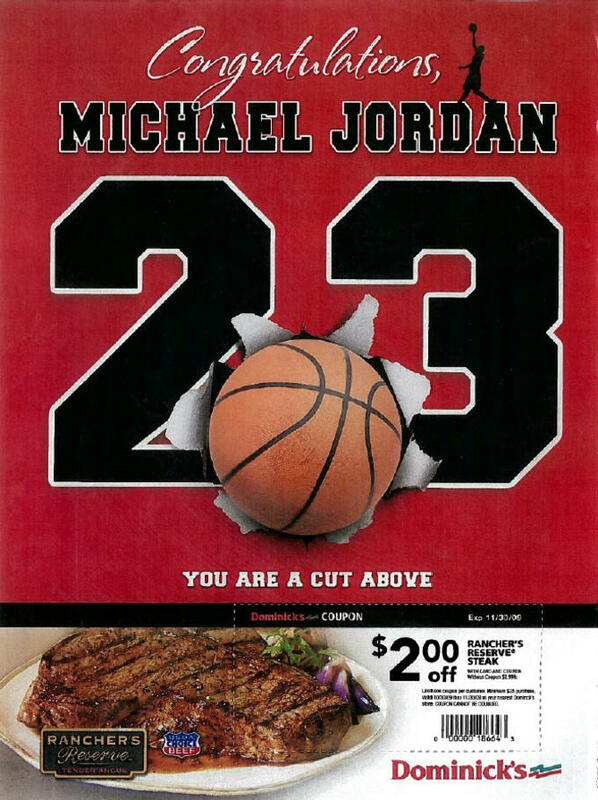 AP reports that Jordan has taken aim at a defunct grocery chain named Dominick&apos;s Finer Foods, who, in 2009, ran an advertisement in Sports Illustrated that congratulated M.J. on his induction into the Hall of Fame. The only problem is, they also used the ad space to plug a coupon for their Rancher&apos;s Reserve Steaks, calling Jordan — and their steaks — "A cut above." Now, Jordan is arguing that the ad hurt his brand image and seeking compensation. Previously, a federal judge agreed that Dominick&apos;s had used Jordan&apos;s name without permission, so the only question that remains is just how much money, if any, will be awarded to His Airness for the damages. 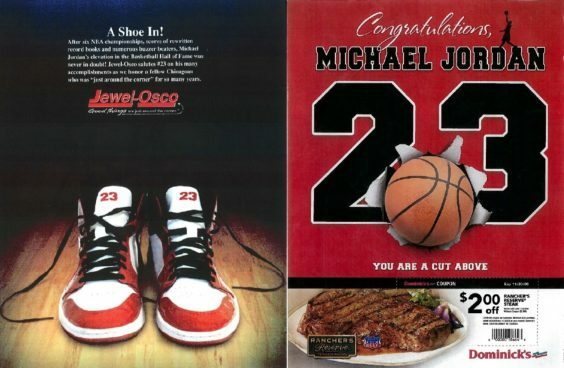 Keep in mind that Michael Jordan has his very own steakhouses in Chicago and throughout the east coast, so it&apos;s conceivable that the ad could have actually misled customers. Take a look at Dominick&apos;s original ad below.